www.facebook.com/lanewayman Synonymous with Melbourne's iconic myriad of laneways and backstreets, Laneway Man (you guessed it) is located down a quiet lane just off Toorak Road, in the leafy suburb of Toorak just minutes from the CBD. 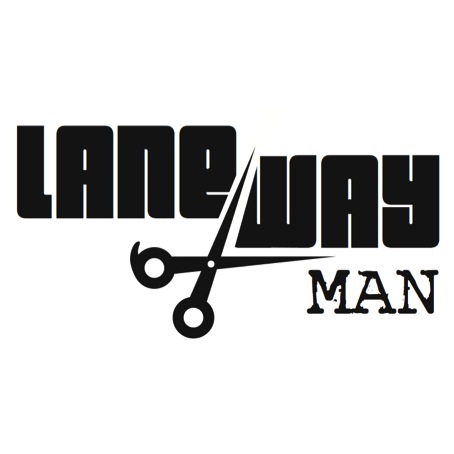 Laneway Man is a comfortable, masculine haven for every man, dedicated to catering for all your hair & grooming needs. Drop in or call ahead for a great haircut, classic shave, body waxing, tanning or your skincare needs. Kick back and relax with a cold beer or great coffee (if it's a work day). Listen to some cool tunes and if you need to wait for your service, enjoy and explore our fragrance table. Our experienced staff with strong fragrance knowledge and training are happy to assist. So guys, sample some new scents while waiting and work on styling it up. No pressure from department store staff here!